Everyone is talking about the digital transformation, but nobody seems to know exactly what it means for them as individuals and their businesses. 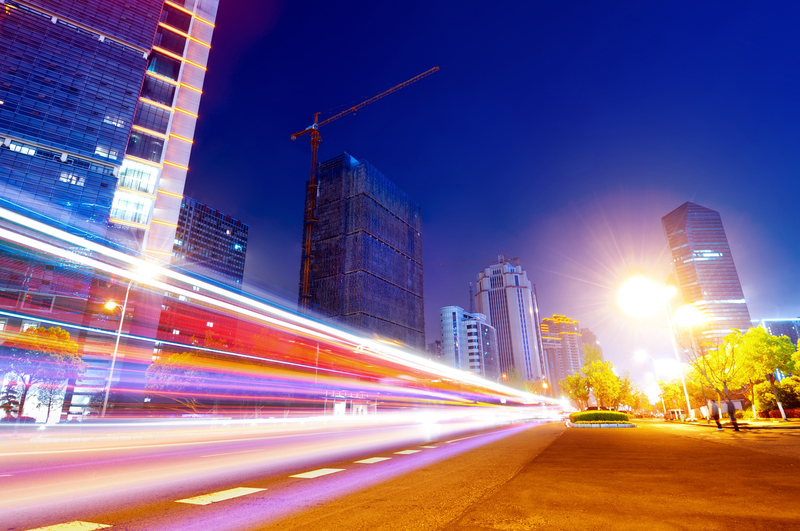 We’ve asked four of our experts some pressing questions related to the digital transformation. Their answers might surprise you—and offer some sound advice on designing a sustainable digital strategy for your company. Perhaps they’ll even help you come out further ahead than you ever expected. The pace of digitalization is accelerating. But what do companies need to do to implement the change as quickly as possible? Otto Schell: “Disruption” is quite positive when it changes “thinking”, as the notion of “attack”. The focus is on both: attacking entrenched and not protecting classical risk management – maximum skimming is allowed. Going beyond that and crossing old boundaries, even if you might prefer to work on a hedging policy or collaboration rules because you were accustomed to doing so. example, as a first step on the way to renewal, it’s easier when young, talented digital natives accompany the change – integrating them into the process. This can take many forms, such as hackathons, innovation jams, or ideas competitions. Their results or inspirations are ideally suited for exploring new ideas and rethinking things. In addition, it is essential to identify talents within the company and provide them with the right learning and training content. In particular, learning via the Internet plays an extremely important role. The decisive factor for the success of these measures is, of course, not only the quality of the content and the media used to transmit it but also constantly checking its quality and timeliness to ensure that it still fits the company’s objectives. transparent. Another tool to support the change could be using the design thinking methodology. In this context, innovative employees, universities, and colleges as well as customers and suppliers can be involved, acting as broadly and innovatively as possible. complexity. Collaborative goals are the main driving force, such as promoting innovation, collecting and building knowledge, or working together on projects. The technological change also makes new business models possible. Using human-centric design thinking enables the development of user and problem-solving results for services, products or even internal processes via interdisciplinary teams. The strong focus on people, the creation of new thinking through diverging thinking and the short-term prototyping bring benefits for the business model innovation and digital transformation. Where are companies supposed to find the required specialists and which training pathways will meet their future needs? Otto Schell: If you understand that traditional qualifications are vertical, but you need multi-functional staff, you have jumped the first hurdle. Everything else is talent management, which means merging the right skills. In a world that is momentarily changing, it makes little sense to deal with job descriptions if you don’t know what is needed. That is the positive challenge. We are in the midst of change, and we determine what these are – without having control over them. Also, meaning that skills must be flexibly paired together. Prof. Peter Mirski: The “War for Talents” is a reality – the staff and not the technology is the crucial strategic resource. It is very difficult to find suitably trained specialists. To support recruiting, relevant platforms offer to bring together jobs and talents. In particular, it is important to ensure that appropriate training opportunities are also considered and offered. Long-term cooperation with educational institutions is the instrument of choice, inspiring young talents for their own business and thus promoting the employer’s brand. bring new innovative forces into the company. Where can you find these? On the one hand, the use of social media and the use of new technologies is certainly important to implement innovative employer branding at the company. On the other hand, new employees can be recruited via universities, colleges and further education institutions in conjunction with graduate and master theses, joint projects and internships, but also by including them in design thinking workshops. Astrid Menzl: People should always be focused on, with staff being seen mainly as the core of the company. Likewise, qualification and training opportunities on digitalization and Industry 4.0 issues will become even more important in the future for new and existing employees. For example, data analysts and employees with IT knowledge and programming skills are increasingly needed in the manufacturing environment. Collaboration with universities and colleges is essential for attracting new employees. Innovative solutions can be created by incorporating students into projects, professionally accompanying them by design thinking and other creative management methods. What do you think is the optimal kind of consulting for the digital transformation? Otto Schell: Let’s keep the term consulting off the table for now. Giving advice goes in both directions, our clients must be open to cooperation. We’re not going to do anything you would like to do, as that means stagnation. We are concerned with drawing an image of our clients where the path could lead to, but also where it could end by relying on old strengths and not taking new forces seriously. Here we offer the necessary bandwidth from global practice, teaching, research and an agile network. high level of expertise and long-term guidance. Prof. Dietmar Kilian: Important at the outset, as in many other change processes, is a status assessment and the use of analytical tools, on the basis of developing a clear digitalization strategy and a mid-term implementation concept. 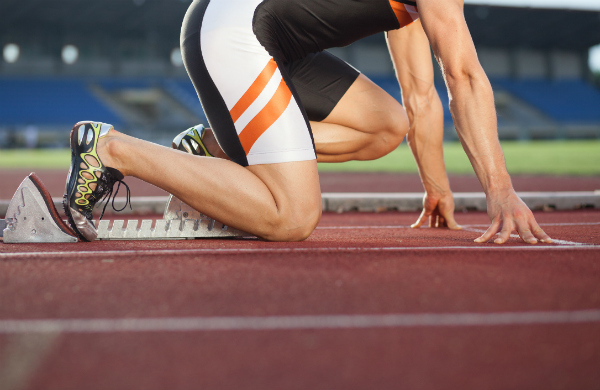 Ensuring sustained change in the company, smaller projects are needed to start with, in the sense of a kick-off. In this case, quick wins’ act to open up new doors. The integration of different tools depends on the respective definition of tasks within the company. Astrid Menzl: In digital transformation consultancy, the trend toward long-term consulting has been evolving, similar to a coaching approach, where it goes beyond the analysis of the current state. Building trust, we work as consultants who see eye to eye with our clients and accompany them to implement a sustained and effective corporate strategy over several years. In this respect, it is important to celebrate smaller project achievements and learn from individual digitalization projects. With a consultant network of specialists and experienced experts, a holistic approach can be taken by companies that are on various, unique paths toward digital transformation. We hope you profited from the insights in this interview. To find out more about what PDAgroup can do to create and implement a sustainable digital strategy at your company, get in touch directly with Vitali Auracher at vitali.auracher@pdagroup.net or via his LinkedIn. You can also check out part one of this interview or get information about our Digital Transformation Advisory. For the latest trends and news related to digitalization and the digital transformation, follow PDAgroup on LinkedIn and Twitter. Der digitale Wandel ist zwar in aller Munde, jedoch für viele nur ein abstrakter Begriff, unter dem sie sich nicht viel vorstellen können. Aus diesem Grund haben wir vier unserer Experten gebeten einige elementare Fragen zu diesem Thema zu beantworten. Mit ihren teils überraschenden Ausführungen bringen sie Licht ins ‘Digitale Dunkle’ und helfen auch Ihnen bei der Entwicklung einer Digitalisierungsstrategie für Ihr Unternehmen. Das Tempo der Digitalisierung beschleunigt sich. Was müssen Unternehmen tun, um den Wandel schnellstmöglich umzusetzen? Otto Schell: „Disruption“ ist auch durchaus positiv, wenn damit „Denken“ verändert wird, darum geht es. Für mich ist auch der Begriff „Attacke“ durch aus positiv, und um Beides geht es: Eingefahrenes zu attackieren und nicht über klassisches Risikomanagement zu schützen, maximal Abschöpfen ist erlaubt. Und zum anderen auch nach außen zu gehen und über gewohnte Grenzen zu gehen, auch wenn man vielleicht lieber an einer Absicherungs-Policy oder Zusammenarbeits-Regel arbeiten möchte, weil man es gewohnt war. Prof. Peter Mirski: Aufbauend auf der intensiven Arbeit an der digitalen Strategie, gilt es, die Mitarbeiterinnen und Mitarbeiter so rasch wie möglich entsprechend qualifizieren. Dabei gibt viele innovative Konzepte – beispielsweise lässt sich als erster Schritt der Weg der Erneuerung leichter gehen, wenn junge Talente den Wandel begleiten – sozusagen in den Prozess integriert werden. Dafür bieten sich verschiedene Formate an, wie beispielsweise Hackatons, Innovation Jams oder Ideenwettbewerbe, deren Ergebnisse oder Inspirationen bestens geeignet sind, um neue Wege zu entdecken und durchzudenken. Im Weiteren ist es wesentlich die Talente im Unternehmen zu identifizieren und mit den richtigen Lern- und Ausbildungsinhalten zu versorgen. Dabei spielt insbesondere innerbetrieblich der Bereich des Lernens über das Internet eine äußerst wichtige Rolle. Entscheidend für den Erfolg dieser Maßnahmen ist natürlich nicht nur die Qualität der Inhalte und der Vermittlung, sondern auch deren konstante Überprüfung auf Qualität und Aktualität und dem Fit zu den Unternehmenszielen. Prof. Dietmar Kilian: Um die angesprochenen Bereiche schnell in die Veränderung zu bringen, ist es wichtig schnelle und wahrnehmbare Erfolge im Unternehmen zu erzielen, um so möglichst viele Mitarbeiter positiv und aktiv in die Veränderung zu integrieren. Dies unterstützen z.B. Challenges, in welchen die Mitarbeiter ihre Ideen einreichen können und diese gezielt ausgewählt werden. In der Umsetzung werden die Mitarbeiter miteingebunden und mit entsprechenden Weiterbildungsmaßnahmen begleitet. Hierbei ist es besonders wichtig, dass die Ergebnisse Quick Wins darstellen und diese kommuniziert werden, um den Nutzen einer nachhaltigen Veränderung transparent zu machen. Ein weiteres Werkzeug zur Unterstützung der Veränderung könnte die Nutzung der Design Thinking Methodik sein. Im Rahmen dessen können innovative Mitarbeiter, Hochschulen und Universitäten sowie Kunden und Lieferanten eingebunden werden, um möglichst breit gefächert und innovativ zu agieren. Astrid Menzl: In der heutigen Welt nimmt die Komplexität für Unternehmen immer mehr zu. Es bedarf neuer, agiler und flexibler sowie vorwiegend offener, kollaborativer Netzwerk-Strukturen, um diese Komplexität zu meistern. 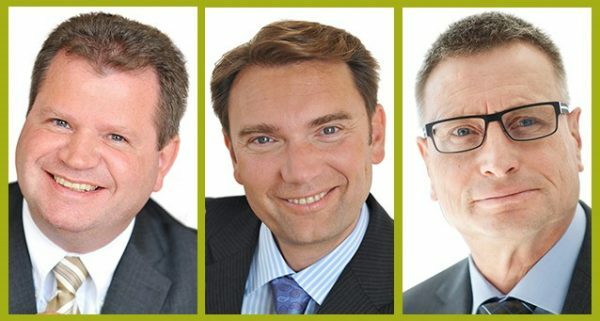 Für eine Kollaboration zählen gemeinsame Ziele als Hauptantrieb, wie z. B. Innovationsförderung, Sammeln und Aufbauen von Wissen oder gemeinsames Arbeiten an Projekten. Der Technologiewandel ermöglicht vor allem auch neue Geschäftsmodelle. Mithilfe des menschenzentrierten Design Thinkings ist es möglich mittels interdisziplinären Teams anwender- und problemlösungsorientierte Resultate für Services, Produkte oder auch interne Prozesse zu entwickeln. Gerade die hohe Orientierung an den Menschen, das Hervorbringen neuer Denkansätze durch divergierendes Denken und das schnelle Erstellen von Prototypen bringen für die Geschäftsmodellinnovation und digitale Transformation Vorteile. Wo sollen die Unternehmen die benötigten Fachkräfte finden und welche Ausbildungswege schließen den künftigen Bedarf. Otto Schell: Wenn man verstanden hat, dass klassische Qualifikationen vertikal sind, man aber eigentlich multifunktionale Mitarbeiter benötigt hat man die erste Hürde genommen. Alles andere ist Talentmanagement, heißt die richtigen Skills zusammenführen. In einer Welt die sich gerade verändert, macht es wenig Sinn, sich mit Stellenbeschreibungen zu beschäftigen, wenn man nicht weiß, was eigentlich tatsächlich gebraucht wird. Das ist ja die positive Herausforderung, wir sind mitten in der Veränderung, und wir bestimmen diese – wir bekommen sie nicht in die Hand gegeben. Bedeutet damit auch, dass Skills flexibel zusammengesetzt werden müssen. Prof. Dietmar Kilian: Im Umfeld der Mitarbeiter ist es zum einen wichtig, bestehende Mitarbeiter in diesem Entwicklungsprozess zu beteiligen und weiterauszubilden und zum anderen neue innovative Kräfte in das Unternehmen zu holen. Wo findet man nun diese? Einerseits ist hier sicher die Nutzung von sozialen Medien und der Einsatz neuer Technologien wichtig, um ein innovatives Employer Branding für das Unternehmen umzusetzen. Andererseits können neue Mitarbeiter über Hochschulen, Universitäten und Weiterbildungsinstituten in Verbindung von Abschluss- und Masterarbeiten, gemeinsamen Projekten und Praktika aktiviert werden, aber auch über die Einbindung dieser in Design Thinking Workshops. Astrid Menzl: Der Mensch sollte stets im Fokus stehen, wobei der Mitarbeiter im Mittelstand vorwiegend als Kern des Unternehmens gesehen wird. Ebenso werden Qualifizierungs- und Weiterbildungsangebote für bestehend und neue Mitarbeiter bezüglich Digitalisierungs- und Industrie 4.0-Thematiken zukünftig umso wichtiger werden. Zunehmend werden Datenanalysten sowie Mitarbeiter mit IT-Kenntnissen und Programmierfähigkeiten beispielsweise im Fertigungsumfeld benötigt. Gerade die Kollaboration mit Universitäten und Hochschulen ist für das Gewinnen neuer Mitarbeiter essenziell. Innovative Lösungen können durch das Einbinden von Studenten in Projekten entstehen, welche durch Design Thinking und weiteren kreativen Managementmethoden professionell begleitet werden können. Wie sieht Ihrer Meinung nach die optimale Beratung für die digitale Transformation aus? Otto Schell: Lassen wir den Begriff Beratung in der Schublade. Advisory geht in beide Richtungen, unsere Klienten müssen offen sein mitzuspielen. Wir werden nichts machen, was man hören will, das bedeutet Stillstand. Uns geht es darum, unseren Klienten ein Bild zu zeichnen, wo es hingehen kann, aber auch wo es enden kann, wenn man auf alte Stärken vertraut und die neuen Kräfte nicht ernst nimmt. Und hier bieten wir die nötige Bandbreite aus globaler Praxis, Lehre, Forschung und einem agilen Netzwerk. Alle von uns haben sich schon mal die Finger schmutzig gemacht und wir sind uns nicht zu schade mit anzupacken, 24/7. Prof. Peter Mirski: Beratung lässt sich messen – exakte Messpunkte, im Vorhinein gemeinsam mit dem Beratungshaus zu vereinbaren, ist eine gute Strategie, um zu definieren, was durch das Beratungsprojekt, wann realisiert werden soll. Dadurch, dass Digitalisierungsprojekte zumeist hoch innovativ und interdisziplinärer Natur sind, ist eine Einbindung von Praxis und Wissenschaft gleichermaßen von Bedeutung und benötigt ein hohes Maß an Expertise und langfristiger Begleitung. Prof. Dietmar Kilian: Wichtig, wie in vielen anderen Veränderungsprozessen, ist zu Beginn eine Statuserhebung und die Nutzung von Analysetools, die darauf basierende Entwicklung einer klaren Digitalisierungsstrategie und ein mittelfristiges Umsetzungskonzept. Um eine nachhaltige Veränderung des Unternehmens zu gewährleisten bedarf es zum Start kleinere Projekte, im Sinne eines Kickoffs. Hierbei dienen „Quick Wins“ als Türöffner. Die Einbindung unterschiedlicher Tools liegt an der jeweiligen Aufgabenstellung im Unternehmen. Astrid Menzl: In der digitalen Transformationsberatung entwickelt sich der Trend hin zur partnerschaftlichen Langzeitberatung, ähnlich eines Coaching-Ansatz, wo es über die Ist-Analyse hinausgeht. Um eine vertrauensvolle Basis aufzubauen arbeitet man als Berater auf Augenhöhe und begleitet über mehrere Jahre nachhaltig und effektiv die Unternehmensstrategie. Hierbei ist es wichtig stets auch schon kleinere Projekterfolge zu feiern und aus den einzelnen Digitalisierungsprojekten zu lernen. Über ein Berater-Netzwerk von fachlich spezialisierten und erfahrenen Experten ist eine ganzheitliche Begleitung für Unternehmen auf dem breit gefächerten Weg der digitalen Transformation möglich. 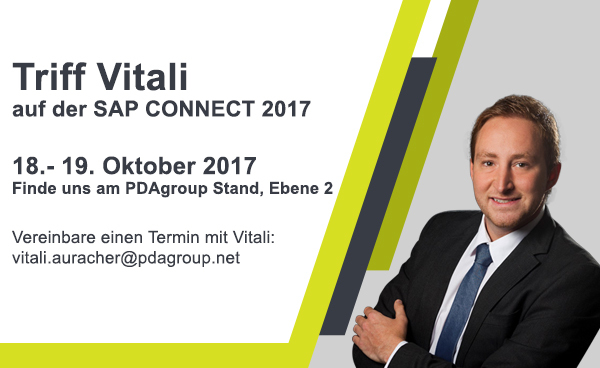 Setzen Sie sich direkt in Verbindung mit Vitali über LinkedIn oder per Email: vitali.auracher@pdagroup.net. Finden Sie einen weiteren Teil dieses Interviews hier, oder erhalten Sie mehr Infos zu unserem Digital Transformation Advisory Programm hier. Informieren Sie sich über Trends und Neuigkeiten zur Digitalisierung und folgen Sie PDAgroup auf LinkedIn und Twitter.